Miko is not happy with me. He took his favorite toy in the backyard and managed to set it down in a puddle of Leela’s pee. So it’s in the wash and he’s pouting, refuses to play with any of the other toys in his full toy box. The weather is nothing to pout about here being sunny and in the 60s. I almost feel guilty watching the coverage of the Polar Vortex – what a time. And what a time for salad, I made a monster romaine salad with avocado garlic dressing and dill sauerkraut that was delicious for a couple of meals. And I’ve been enjoying simple tempeh stir fries after loading up on cheap, organic tempeh from Trader Joe’s. 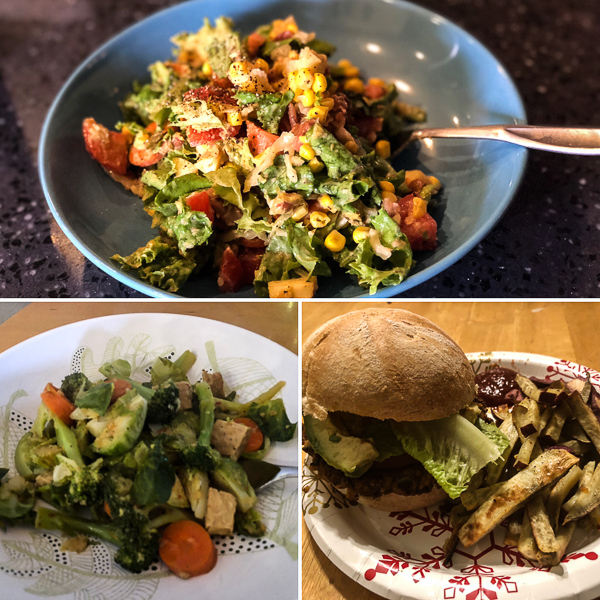 After SacTown VegFest on Saturday, I headed to my sister’s house for a family birthday gathering where my brother-in-law made delicious house made veggie burgers with pinto beans, gluten free flour, and great seasonings which was really sweet since he’s not a vegan. But we all enjoyed them with fresh sweet potato fries. 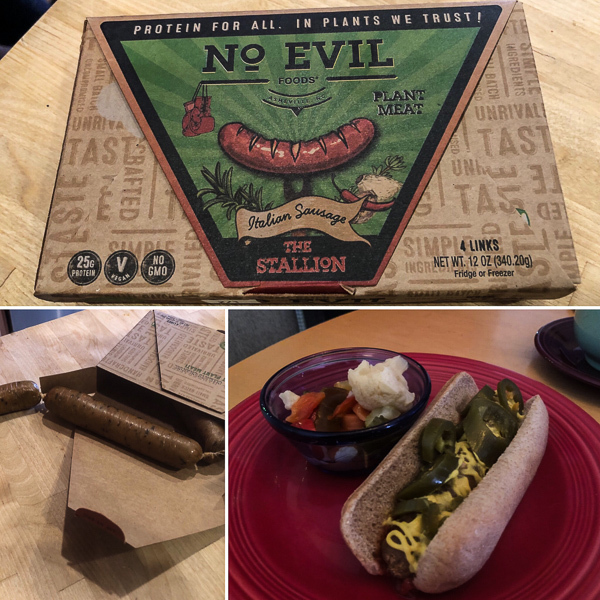 On our last trip to Whole Foods to find new products to try, I found No Evil The Stallion Italian Sausage and had to grab them because I loved the name. Hubby tried one as a traditional sausage dog with jalapenos and mustard and really liked the flavor and said the texture was close, but not perfect which is really good for him. They have considerably less calories (almost half!) 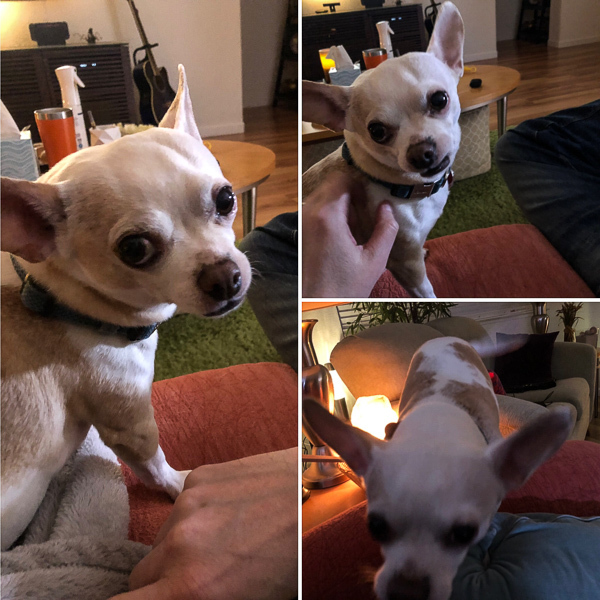 and a very small fraction of the fat of the other vegan sausages he enjoys, but a whooping 25 grams of protein per serving, so I think we found a new favorite. A co-worker is trying to shift to a healthier diet and talking to me a lot about it. He’s going from daily fast food to aggressive health goals and a lot more fruits and veggies. Not plant based yet, but I’m working on that. But he’s a picky eater who’s go-to sauce for burgers, dressings, etc. is good ol’ processed American Ranch dressing. I know. 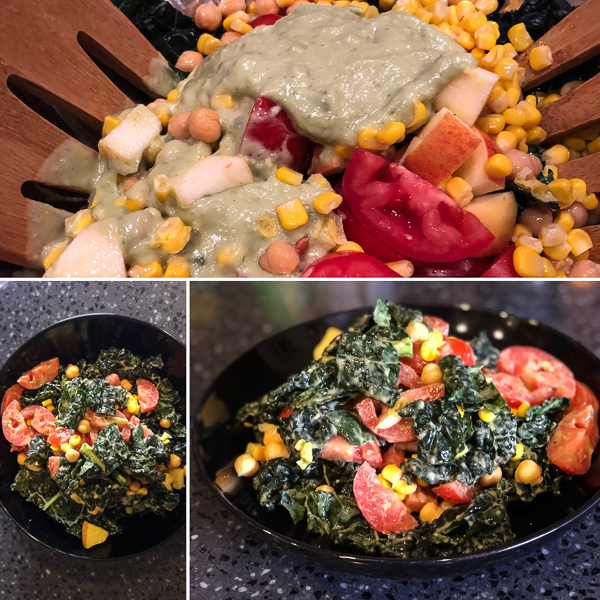 But it’s a dressing I love to give health makeovers to because it’s so easy to blend a healthier version with fresh ingredients skipping the crazy preservatives and avocado is perfect for hitting that blended creamy texture while being lighter. The problem with blender recipes like this is they’re best fresh and making it from scratch can seem crazy on a busy weeknight and that’s his problem. I’m trying to convince him it takes just minutes and the fresh flavors are worth it compared to the processed stuff, they are. Plus this can sit in the fridge for 3-5 days in a container. The texture is thick and great, perfect for coating this massaged kale salad with bright and tangy garlic herb flavors that make Ranch so magical and universally liked. Only this version can be enjoyed by the entire family and even makes a great dipping sauce for the big game. Wait, isn’t that this weekend? Thailand sounds amazing, so jealous! But true on the west coast.